According to the latest report from Kantar Worldpanel ComTech, from January to May 2014, Samsung has a sales share of 23%, help it to remain its dominance in Urban China Smartphone market, whereas Apple’s sales share had plunged to 16%, lost its number 2 seat to Xiaomi who had 21% of the market. The Kantar report shows, many Featurephone upgraders supported recent strong sales performance for Xiaomi, but more importantly, those repeat Smartphone buyers. 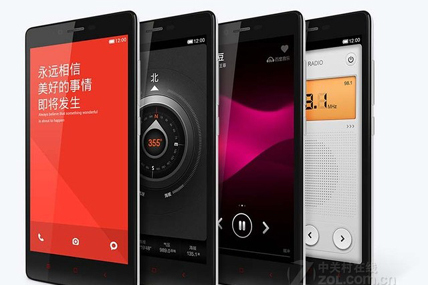 During the first 5 months of 2014, close to 70% of consumer who bought Xiaomi was already a smartphone user, of which 20% were loyal Xiaomi repeat customers. Although the ratio of repeat Xiaomi purchase is already significant for a new brand, it may also improve with earlier Xiaomi customers who are due to change handsets in the future. The hard work of building brand value and developing better OS experience seems to start pay off for Xiaomi, while attracting more customers to join its fan’s club, many existing fans are likely to stay. Xiaomi’s recent sales boost has made little direct impact to Apple, due to its product positioning, less than 5% of its newly acquired customers had ditched their iPhone. However, It’s not looking too good for Samsung nor local Smartphone brands. Those first time Xiaomi buyers, 17% was switched from Samsung, and 21% had a device from the BIG 5 local brands ( Huawei, ZTE, Lenovo, Coolpad, OPPO). The report also pointed out, previous Nokia owners are also contributing to Xiaomi’s success, accounted for 18% of Xiaomi’s new customers. From January to May, Huawei, Lenovo and Coolpad’s Smartphone sales share are 10%, 6% and 6% respectively. Nowadays, competition between Smartphone brands are becoming even more fierce, having a good value for money product may help with temporary success, but in the long run, brands still need to focus on improving User Experience and achieving better customer loyalty. In mainland China, Apple has always holds number one place in terms of customer loyalty, and partially is because iPhone Operating System (OS) environment is much user friendly, and intuitive, users are more engaged with their handsets. In the 3 months ending May 2014, Kantar Worldpanel studied smartphone owners usage behavior across brands, and Xiaomi owners’ user engagement was slightly behind Apple, however was ahead of Samsung on all measures. Particularly, functions like watching online TV, mobile browsing, Mobile shopping and GPS/Navigation, are where Xiaomi owners are much more engaged than smartphone average. In the report, it also highlighted listening to music, taking/sending photos, and playing games, are the three most commonly used functions for Mobile, covering over 3 quarters of smartphone users. On the contrary, visit social media website, GPS/Navigation and mobile purchase are the least used functions with a penetration of 45%, 35% and 30% respectively. Even though GPS/Navigation and Mobile shopping are functions that less used by the general public, however close to half of iPhone and Xiaomi owners have used those functions, much higher than the market average. Xiaomi has been growing at an astonishing rating, By May 2014, it surpassed Apple in terms of sales share, and ahead of Samsung on user engagement. Although it is still number two on both accounts, but judging from its trend, Xiaomi is a contender can’t be ignored. On 22nd of July, Xiaomi is hosting a product launch keynote in Beijing, Mr Lei has hinted in his micro blog that the theme will be “The journey of art for a piece steel”, it implies major changes in design and form factors, which may help Xiaomi continues its journey to the top.